A Great American Print Shop has been serving Denver and the surrounding community for over 30 years. We pride ourselves on delivering quality products and excellent service with competitive pricing. Family owned and operated since 1981, we’ve expanded the services we offer beyond those of most print shops due to the unique needs of our customer base. We design and print packaging solutions for customer products. We develop point-of-purchase displays, and service emergency printing needs of clients. This is why we’ve become the “go-to” print shop when deadlines loom. 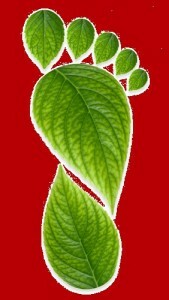 As a company, we are committed to reducing the impact of our environmental footprint. In our offset printing department, we employ soy/vegetable inks, minimal alcohol usage, water soluble cleaning solutions and are continually evaluating other low impact products. We recycle our paper waste, and our cleaning fluids are picked up for recycling. We recommend the use of papers made with high post-consumer waste to our customers. Most of the papers we offer contain up to 100% post-consumer waste.